What’s The Buzz? : The UK has always been a solid source of ‘chick lit’ writers – from Sophie Kinsella to Helen Fielding to Jane Green, some of the bestselling books for babes have sprung out of England. Dani Atkins is a relative newcomer to the field, but one that’s already won over fans with her debut novel Then and Always (which for the record, is called Fractured in the UK). In fact, Atkins has already had her second novel published overseas; stay tuned for its arrival ‘stateside’. What’s The Story? : Imagine going to sleep in one world and waking up in another. That’s sort of what happens to Rachel Wiltshire, a twenty-something girl whose life changed forever when, during a farewell dinner with her high school chums, a tragic accident rocked her circle’s world. When we meet Rachel, she’s physically and emotionally haunted by that night – working a dead end job, living by herself in a lonesome little flat, and dreading a visit back to her hometown for the first time since the tragedy for her best friend’s wedding (which her ex-boyfriend will also be in attendance at, gorgeous girlfriend and mutual friend on his arm). In fact, when Rachel arrives, she is so overwhelmed by the memories – and a peculiar set of medical symptoms – that she collapses in a graveyard. Upon waking up in the hospital however, Rachel’s world is turned upside down. Her previously terminally ill father is well again. Her childhood best friend and previously unrequited possible love interest, well and by her bedside (instead of, you know, dead). In fact, everything Rachel could have ever wanted for herself – a great job, a desirable fiancee, a beautiful flat in London – is at her fingertips. But Rachel’s only memories of the past five years – from the accident to the moment she wakes up – are of an entirely different, grim, miserable world. With friends, family and medical professionals telling Rachel this other world is all in her head, it’s up to Rachel (and the reader) to parse which world Rachel belongs to, and what’s really going on. Beach Read Potential? : We’re in the final stretch of sunny, summery days, but I thought Then and Always was an apt title to highlight before we get to the Labour Day weekend as it is a perfect beach read. There’s a sticky romantic triangle, a puzzling, gripping memory conundrum, and a rather emotional ending. It’s the kind of book you can easily curl up with over a weekend – whether tucked by a rainy window or swaying in a hammock. So…Is This A Fantasy Novel? : With the two timelines, admittedly yes, there is a sliver of ‘fantastical’ in Then and Always compared to something like Sophie Kinsella’s book, Remember Me, which was straight up an amnesia tale. And many of the reasons Rachel and those around her come up with to explain why her memories have been replaced by this other life do involve ideas like the ‘space time continuum’. But Atkins does a marvelous job at grounding the story if a perplexing kind of real – you, along with Rachel, are convinced there has to be a rational explanation for everything that’s happening. The good news is, Atkins delivers in terms of explaining what’s going on. I won’t say when and I won’t say what, but I will say I was gobsmacked and completely blown away by it, despite the groundwork laid throughout the book that maybe possibly could have tipped me off. Who Should Read This Book? : The jacket description describes Then and Always as a good pick for fans of books like David Nicholls’ One Day or the film Sliding Doors. I’d say of those two, the latter is probably a more apt parallel. The book I mentioned in this review – Sophie Kinsella’s Remember Me? – is probably the closest, in terms of the British setting and the story of a woman trying to piece together her life again (to that end, it’s also vaguely reminiscent of another UK smash hit, SJ Watson’s thriller Before I Go To Sleep, where a woman suffers from a short-term degenerative memory disease). I’ll say this. One of my personal favourite story tropes is a case of forgotten memory. If you feel the same way – this book spins that concept on its head. Altogether this is a fab pick for any of your chick lit loving pals that are looking to discover a new author. Then and Always is available nationwide now, for $20. Naturally I’ve got a copy of this beach- or rain-friendly read to give away. If you want to win a copy of Dani Atkins’ Then and Always read on below. 1) Tell me in the comments below by September 13, 2014 – Why grabs you about Then and Always? Why do you want to read it? 2) Entries are limited to one per person / per email address / per household (or more if you score bonus entries). A random draw will be conducted on or around September 14, 2014 to select the winner(s), who will have 48 hours to respond before another winner is chosen in their place. 4) Bonus Entry: Follow Penguin Canada on Twitter, tag them and me (@cdngiftguide) in a Tweet about why you’d love to read this book. Post a link to your Tweet below to earn yourself an extra entry into the draw. 5) Bonus Entry #2: Add this book to your to-read list on GoodReads, and leave a link back to the page it’s on below to earn yourself another bonus entry. This sounds like such a compelling novel, I’ve always wondered what life would be like to wake up and be me but different somehow. I like the idea that people sometime get second chances. Intrigueing read, I would think. I like to read this book because you’ve sparked my interest in it. I’ve read this so I don’t need to win a copy but I wanted to tell you how much I loved it! I never read chick lit or romances but this is one of my favorite books ever! It sounds like a perfect weekend read at the lake or farm! I have read Sophie Kinsella’s book, Remember Me so I think I would really enjoy this book. I love a great book and this book with its memory conundrum sounds intriguing. I’d love to win! I really love books that push the boundaries between reality and fantasy. I loved both Remember Me and Before I Go To Sleep and think Then And Always deserves a spot way up on my TBR list! Fingers crossed! I like a book with a twist! I love memory-bending stories. Memento is one of my favourite movies so if this is anything like that, count me in. You have definitely raised my interest level in this book to the point where I’d like to read it. I would like the constant battle with my head and the book trying to figure whats reality.. Love to read it. Sounds like something a book we will think of after it’s read. Oh I love a book that has this kind of mystery to it. I like to try and figure out what’s going on! I liked the film ‘Sliding Doors’, plus I’m reminded of the ‘Life on Mars’ reality-shifting British TV series, which I also liked a lot. 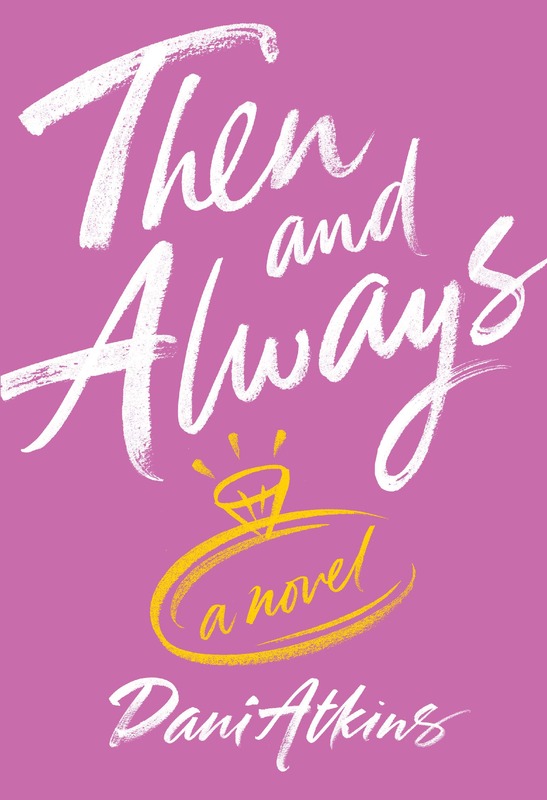 ‘Then and Always’ sounds like it would be a truly escapist and enjoyable read.